Walk the snow covered streets of a snowy village with this wintry quilt designed by Edyta Sitar of Laundry Basket Quilts. Designed exclusively for Missouri Star Quilt Co., this Block of the Month is a pieced and fusible appliqué that lasts eight months. 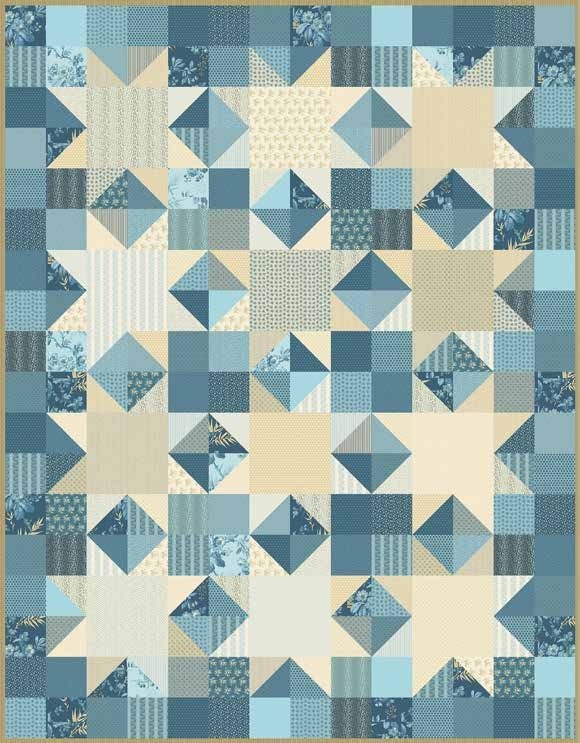 Each month you will receive directions and Something Blue fabrics for each section of the quilt along with precut, prefused appliqué shapes for branches, birds, and snowflakes by Edyta Sitar for Andover Fabrics. The last month includes the sashing, border, and binding fabrics plus a Missouri Star Quilt Co. Quilting Services Coupon for 10% off. Backing sold separately, 3 1/2 yards needed. We recommend Something Blue - Peony Promise Yardage.